IT administrators are well aware of the chal-lenges facing their organizations. Budgets are constrained, IT staff spends too much time doing routine maintenance tasks, and business groups are demanding that services be rolled out more quickly and flexibly than ever. 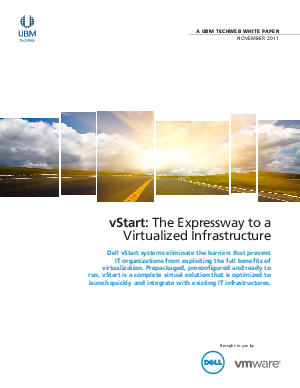 its customer engagements, vStart eliminates guess-work from virtualized infrastructure design.